You are looking for a professional OBD2 scan tool with the best quality? 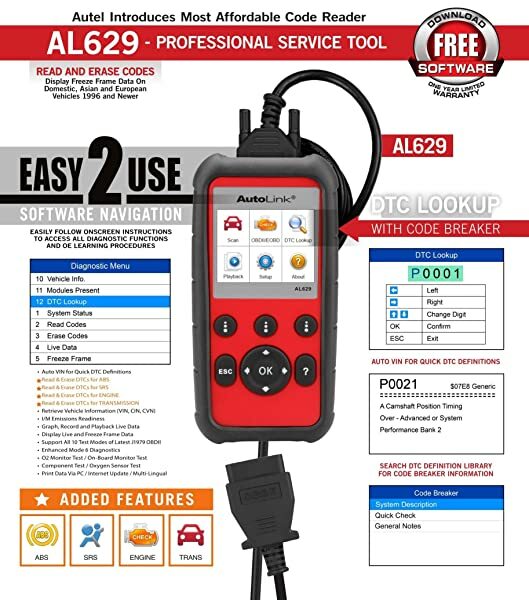 Well, Autel Autolink AL629 Pro Service Tool is an effective diagnostic scanner that can perform both basic and a number of advanced functions. Autel Autolink AL629 is one of the reputable scanners that can effectively reset SRS lights. The scanner will retrieve a DTC code and subsequently define it on the screen. You will be able to quickly read and clear Check Engine Light using this scanner. Better yet, you can perform advanced functions such as resetting ABS and SRS warning lights. This Autel Al629 scan tool also allows you to perform diagnosis on transmission and the engine. 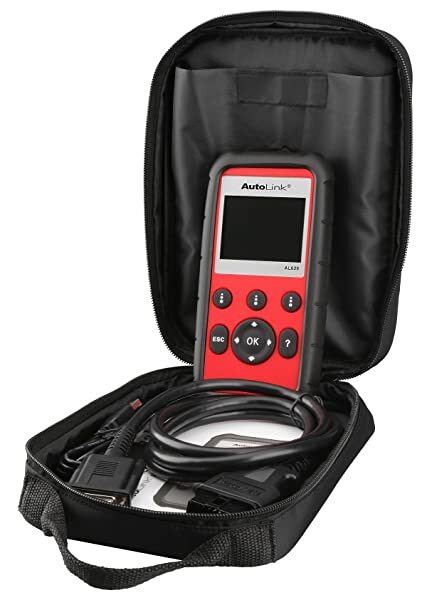 For elaborate and in-depth diagnostic functions of Autel Autolink AL629, continue reading this review based on the first-hand experience. Whenever you step on the brakes your vehicle should always maintain traction between the tire and the road. This will allow you to have better control of your vehicle as it slowly comes to a stop. This scanner will quickly make a connection with the onboard computer and retrieve stored diagnostic trouble codes. However, if you find that there is dragging or skidding effect whenever you step on the brakes then there could be a problem in the ABS system. The first thing that you should do is to check if the ABS warning light is on. If so, then you need to use Autel Autolink AL629 to locate and pinpoint the exact source of the fault. 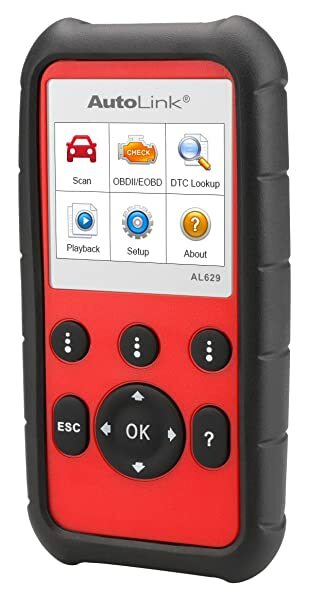 You will find that this scanner will quickly make a connection with the onboard computer and retrieve stored diagnostic trouble codes. Better yet, the scanner will define the retrieved code for better interpretation and analysis. This is because Autel Autolink AL629 has a built-in DTC lookup library. The scanner will define the retrieved code for better interpretation and analysis. The most common ABS faults include defective wheel sensors. When the wheel sensors fail, they can cause the wheel to lock up when braking resulting in a vehicle to skid or veer off the road. It is advisable to replace the faulty wheel sensors and use this scanner to turn off the ABS warning lights. It does not perform ABS functions on some models such as sprinter 2004 and Chevy Astro models. Resetting SRS lights can be costly if you are going to make a trip to your mechanic every time it blinks and stay on. But if you have a scanner that can reset the SRS light then you can end up saving time and money. 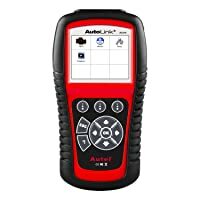 Autel Autolink AL629 is one of the reputable scanners that can effectively reset SRS lights. The scanner will retrieve a DTC code and subsequently define it on the screen. To make it even better, the scanner has a zoom feature that allows you to enlarge the DTC for enhanced readability. The retrieved DTC may point out to a damaged airbag, blown up fuse, or defective sensors. If you are dealing with a blown up fuse then you can easily replace it. However, you might need a mechanic to fix a damaged airbag and to replace the airbag sensors. This will ensure that the airbag is safely fixed and eliminate the chance of the airbag deploying without being triggered by a crash. 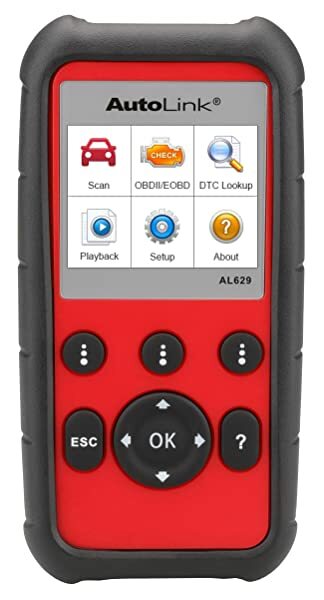 Autel Autolink AL629 scanner can only be updated while connected to a PC. Autel Autolink AL629 scanner can effectively retrieve stored transmission DTCs. The transmission system has many moving parts and is susceptible to wear and tear. You may notice that a slipping gear, cranking, or a failure to respond are some sign of problems within the transmission system. The most comforting thing is that Autel Autolink AL629 can retrieve specific DTC for each fault. To make it even better, you can use the lookup library to explore more on the diagnostic trouble code. If you are a DIY you can do the repairs or let your mechanic if you are an average car owner. The best part is that you will be taking your vehicle to a mechanic knowing what is causing the problems in the transmission system. As a result, you will be protected from being overcharged by your mechanic. The major downside of this scanner is that it displays connection error or display low battery error while diagnosing transmission system. 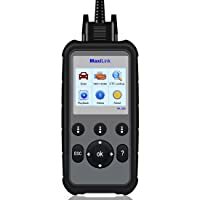 Autel Autolink AL629 is compatible with most vehicles manufactured from 1996 and other newer models. It is also compatible with all OBDII and CAN protocol for domestic and foreign models. For OBD2 vehicles before 2013 Only. Not cover all OBD2 Vehicles, including GM after 2013, Audi 2000 ABS codes. This scanner is designed for DIY and car enthusiasts who are looking to repair their vehicles. It will allow you to perform basic as well as special diagnostic functions. The outstanding factor about this scanner is that it is affordable and within reach for anyone who would like to diagnose their vehicle. If diagnostic fees are straining your budget then you need to get Autel Autolink AL629. You will be able to resolve most of the common repair problems using this scanner. Equally, it can perform some special functions such as ABS, SRS, and Transmission and Engine. Despite being an effective scanner, it won’t cost you an arm and a leg to get it. This is because the scanner is competitively priced. It is a scanner that you can comfortably recommend to DIYers and car enthusiasts. Are you looking for an automotive scanner that can help you to perform most diagnostic functions? LAUNCH X431 CRP429C never fails you. This review takes an in-depth look at the ANCEL AD210. It looks at what makes the gadget so popular among car owners. Check things out now!